If the maternity care in this book is even vaguely close to the reality in America then I feel really sorry for American women. Waters broken for two hours and already wanting to induce… really? My midwife brain took over and a similar reaction occurred that happens when I watch birthing programs. As daft as it sounds, American obstetrics and poor support for new mothers ruined several parts of this book for me! The plotline itself felt a little lacking. Maybe I’ve been spoiled with intricate and twisting plotlines but I felt no surprise as the revelations came about. This is an even bigger shame as reading the first few chapters I felt excited about where the story was going. 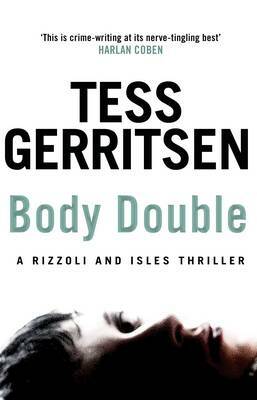 As I said before though, the plotline is good, I just feel it didn’t address the elements I like in a crime novel. With big changes for Jane Rizzoli, we get to see another side of her character: new mother. 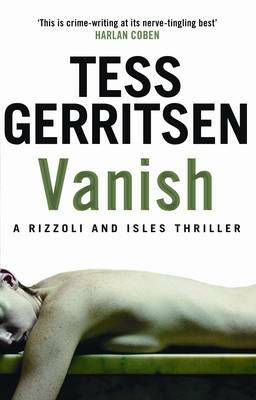 Despite the horrific aforementioned maternity care and maternal support systems, it was good to read about her developing into this new role in her life and I feel that Tess Gerritsen did do an excellent job at conveying the huge range of emotions and stresses a first-time mother goes through. It’s often difficult to portray this well and I feel this was one of the best aspects of this book. Not bad, but I was hoping for better. The Mephisto Club is next on my list so I hope the series will return to its usual high standards and I can enjoy some good old murder again. Introducing 52 in 52 2: The feature film sequel! At least one of us cannot have seen the film before – This is so one of us watches the film as new experience but the other is not allowed to spoil any of the plot. Like the book challenge, it’ll give us both an opportunity to watch some great films that we have always wanted to watch but never really got round to do so. Some films will be watched at around about the same time they become relevant, so we could watch a romantic comedy on Valentine’s Day or a Christmas film during December. So which films are we going to watch? Here is an extensive collection of the films that have been shortlisted for our challenge. You may notice that collectively there are more than 52 films on our watch-list. This is so if we can’t come by a copy of one thing, we will still have a back-up to watch. As you can fully see, there is a diverse range of films; from cult classics to big blockbusters as well as some highly anticipated titles such as Star Wars and James Bond’s new outing. There’s some that I haven’t seen and others that Kat hasn’t seen whilst the rest neither of us have seen. This challenge not only gives us the chance to put across double-perspective accounts from both of us but also gives us the chance to say why we thought it deserved a place on the list whilst the other gives their verdict, for the better or possibly worse. And because of the social nature of watching a film, we can include guests to give an even more in-depth discussion. As always, if you think we’ve missed out a critical film that we must see, send us a tweet @Reviewinators; send a comment on Facebook or comment on this post below. Don’t forget to subscribe so you’ll be updated on the new articles as and when they come out. You know it makes sense! ‘The Reviewinators’ is due an update! It’s the blog cliché to end all blog clichés but to keep everything fresh and swish, we’re going to be doing a few updates before 2015. We’ll be updating the our blog to coincide with a new year with an updated layout and some new features that’ll hopefully be a welcome addition to our little slice of the wider Internet picture. We’ll be improving our social features too so keep an eye out on Twitter and Facebook as we’ll be posting more updates, what we’re doing and also what we have done. There’s nothing more satisfying than seeing our reviews reach a large scope of like minded individuals. We’ll be introducing a new about section that’ll teach you about who the Reviewinators are and what they do. We’ll also be trying out new reoccurring posts for the new year hopefully a replacement for the 52 book challenge will be replaced with something similar! You heard it here first. We would also like to record some new videos and maybe an occasional Tubecast or similar as we have a YouTube channel with not a lot on. Also we are thinking about bringing in some of our friends as guest bloggers to give us a broader reach and a different outlook on something that we might have missed or something that needs bringing to the table. Aside from a new lick of paint, everything else will remain. We’ll still go out of our own way to show you what the unavoidable (and the avoidable) world has to offer! So if things are a bit barren, there’s a few rough edges or things don’t match up then hold tight whilst we try out new layouts, colour schemes and everything else WordPress offers us that doesn’t cost a bomb to make The Reviewinators a little bit better and fresher. As always, if there’s something you think we should give our outlook on, then hit us up with your suggestions on Twitter and Facebook. You should totally follow us and like the page and please subscribe to the blog to keep in the flow. Someone once said ‘Money can’t buy you happiness but it can you chocolate and that’s kind of the same thing‘ and in this day an age, you don’t even have to leave the comfort of your own home to buy something to treat yourself or someone you hold dear; and with Christmas just around the bend (and don’t we know it), online shopping is a crucial and useful tool to have at your disposal. What with the big contenders like Amazon and eBay at your beck and call, you can buy yourself anything from a new CD or a smart jacket to big household appliance like a washing machine or vacuum cleaner. If you want something more specialised, you go to a specialised stockist. IWOOT is a fantastic place to find gifts for those who you just can’t find gifts for, I can’t recommend them enough. They sell kitsch, quirky and useful gadgets and household items that you could do without but you want anyway. Most of the time they have offers and their home delivery is prompt. But, this isn’t an article about how good IWOOT is, but more or less how good an online store can be. I have done my research and even though I personally haven’t used their services, there are a few pages on the internet dedicated to feedback about The Bradford Exchange; it’s not a pretty sight. So with that in mind, ‘People of The Internet’ I thank you for going over this already and saving me the job of actually having to buy something. So when you’ve risen out of your John Wayne bed sheets in the morning to eat your John Wayne toast that came out of the John Wayne toaster; presented lovingly on a plate from the John Wayne ‘Hero For A Century Collector 100th Anniversary Plate Collection’ and sliced with a knife from the ‘Hard-fired porcelain John Wayne Knives Collection’; all washed down with some orange juice from out of a glass that belongs in the ‘Lone Cowboy John Wayne 100th Anniversary Glass mug set’ (with a whisky chaser in a ‘Handcrafted John Wayne Shot Glass’ might I add? ); whilst you listen to ‘America Why I Love Her’ billowing proudly from the ‘John Wayne Authentic Handcrafted Radio’; until you glance at the date on the ‘John Wayne Perpetual Calendar Collection’ and then at the time on your ‘Illuminated 3D John Wayne Cuckoo Clock’ realising you’re late, so you have to pick up your ‘John Wayne Straight Shooter’ and your rifle in the ‘John Wayne: Legends of the West replica rifle sheath’, turn off your ‘John Wayne: American Legend 16-inch Accent Lamp’ before walking out of your ‘John Wayne Personalised Welcome Sign’ emblazened front door and finally climbing into the driving seat of your John Wayne Van to do your day job of being John Wayne, then you absolutely have to purchase the ‘John Wayne: An American Hero Illuminated Tribute Sculpture.’ Limited to only 10,000 units and costing a reasonable £99.96, there’s absolutely no reason why you should miss an opportunity like this! But no! You’re a bigger John Wayne fan than that and you have the £125 ‘Framed Illuminated Portrait Of The Duke Canvas Print’ to prove it. How do you possibly prove it to lesser John Wayne fans though? That’s right, you can spend almost £200 on a cuckoo clock with John Wayne’s face on it! What about’s jewelry then? There’s no way that can be ruined? I mean, fashionable items suit different personalities and you’d be correct if anything Bradford sold was fashionable. Recently becoming engaged I know first hand that buying a ring is a difficult task, especially as a gift. 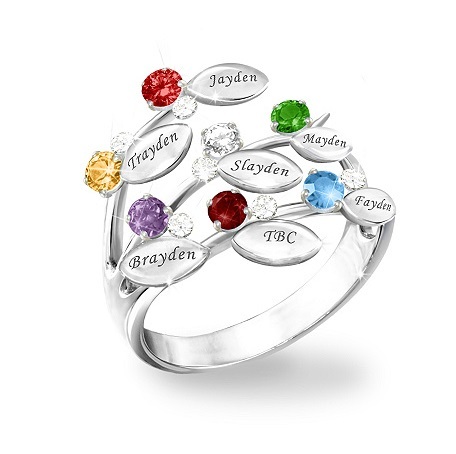 Imagine your delight when you get given the 7 birthstone ring with matching personalisation for all the six kids you inevitably have, likely all from different fathers and all with different name variations with the suffix -ayden. How abouts gambling? You surely must love gambling right? Bradford has the perfect product for you; this gambling penchant with actual moving parts and ‘hit the jackpot’ embossed on the back for when you need to show yourself what you need to do when you spend £70 on something like this. Okay, let me get one thing clear. Dolls are weird enough as it. With their glazed over eyes, ridiculous facial expressions and limp limbs it’s hard not to see why they aren’t in your nightmares already. As collectibles, they are sometimes highly sought after, I can understand that. One or two is fine but once you start going into double figures, suddenly being in close proximity to them all can make you feel a tad uncomfortable. After tracing my steps from The Observation Blog, the number of these added up to grand total of one. You could only buy one and one only. Even that one was a bit weird but that was that, end of conversation. However, one quite clearly wasn’t enough! What I don’t understand is why anyone with an iota of sanity would consider this a thing. Kids grow up real quick when they share their bedroom with a doll that is hell bent on murdering them in their sleep and transporting their blood to the depths of hell to be cast in molds to build an army of murderous monkey-child-doll brothers and sisters. Kids that do not deliver Mollie’s required nightly ritual sacrifice don’t usually make it. Parents need to take responsibility here and assure that plenty of kitten blood is always on hand (and puppy blood will do in a pinch, but don’t push it – this is your child’s life we’re talking about here). Speaking of glazed over eyes, limp limbs and ridiculous facial expression, the Royal Family has captured the pure essence of British culture by storm and The Bradford Exchange have hit the ground running. But we’re not talking about the Head of the Royal Family and the Crowned Monarch that is our dear Queen Elizabeth II. Far from it, we’re talking about Kate Middleton. Y’know, the common-as-potatoes-Princess-which-could-totally-be-you-one-day. The Bradford Exchange lets you own a delightful and not at all tacky representation of the Duchess of Cambridge, forever immortalised as a figurine (re: action figure). Never has anything been so dull and uninspiring in this retrospect since John Wayne became part of the Barbie Sunhouse and Cool Pool Collection. Well what if you want an even more unrelated member of the Royal Family to straddle your mantel piece to collect dust? Too bad; you’re fresh out of luck. Wait, what am I on about? No you’re not. Alas, Pippa Middleton can join the your obsession of peculiar stuff that you’d be ashamed to show off to relatives and friends. Some of them don’t even look like who they’re supposed to represent! For those of you who don’t know, this charming gent is Prince William. …And even our beloved Queen herself! Reading through Amazon reviews, It’s hard not to notice that these show up in the American market quite predominantly and understandably so. I don’t know why but America love a fairy-tale wedding with the beautiful princess bride; the charmingly foppish prince groom; all well and good. But the bride’s sister? Who’s next, the guests? David Cameron? The Beckhams? Ben Fogle? Someone’s review stated that they were saving up for the Pippa Middleton action figure for their collection and that it will take pride and place in the ornate cabinet made with actual British glass. That one person, you can keep it. Keep them all. Finally, back down to Earth now, although I understand if you don’t want to return at this stage, I move onto Christmas. I wanted to find something that stood out from the rest of the decorations. Christmas is all about the celebrations, the lights, the music and the magic and so everything seemed to just fit. You only have decorations up for six to seven weeks, despite some thinking Christmas begins as soon as the last firework is set off, and then they all go back into the dark, cold attic never to be seen again until ten months later. Even the mind-bending substance induced Father Christmas playing a Christmas tree shaped grand piano that has a tiny village in the middle which also plays music and lights up didn’t phase me (much). But I found this; the cherry on the top; the crème de la crème; the quite possibly most creepiest of the bizarre. Yep, for £99.96 you can own a decorative snowman that slowly opens his coat to reveal his ‘sculpted village.’ Because nothing say Merry Christmas more than being flashed by snowman. No, Bradford Exchange. No one wants this. Not as a gift. Not as a peace offering. Not as an ornament. Not even as a doorstop. Flasher the Snowman and his “glowing village scene” is not permitted in this reality or even the next regardless if it plays 8 festive carols or is skillfully handcrafted by trained artisans. It is not allowed. Thank you Bradford Exchange, I’m done. That’s it. Expensive, tacky, downright ugly and uninspiring gifts; I have never more desperately wanted to come down to Earth more than this after browsing the internet shops (not even after my preliminary article in 2011) but then I realised. Earth is responsible for the creation, selling and purchase of every one of these products so instead, this year, I have decided to spend Christmas on the moon. I’ll send you a post card.